Add pork, orange juice, cumin seeds, coriander seeds, salt, and pepper to a slow cooker. Cook on low heat for 7-8 hours until very tender. Remove pork and shred. To make a sandwich, cut a roll in half and spread mustard on the bottom half. 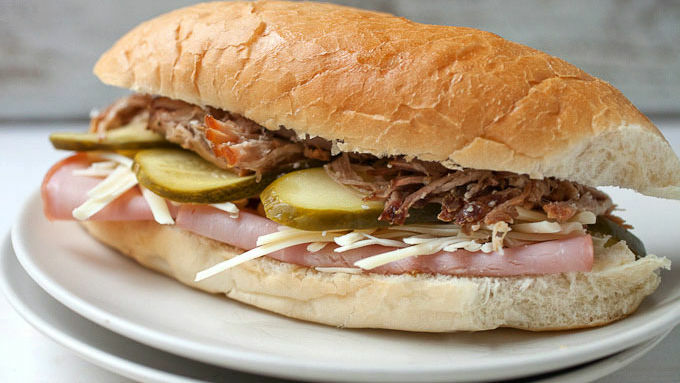 Top with ham, cheese, pickles, and shredded slow-cooker pork, in that order. Wrap sandwich in foil tightly. Cook sandwich over a grill or in a skillet (over medium heat) for 3-4 minutes per side. It’s best to add some weight to the sandwich, so the sandwich presses together a bit. Use a brick or cast iron skillet. Remove sandwich from skillet or grill and unwrap. Slice in half and serve immediately! 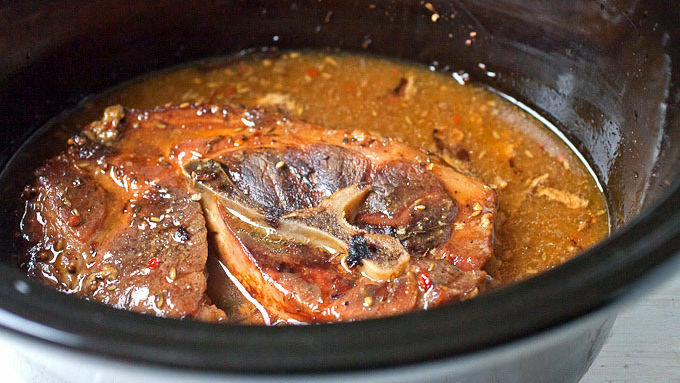 To minimize cooking time, cook the pork overnight in the slow cooker! Traditional Cuban sandwiches made in a slow cooker! As the days warm up, I want a few things: First, to keep my oven off. Please, oh please, let me make dinner without cranking my oven to 350°F. Second, sandwiches. I love a good sandwich on a hot day. The traditional Cuban sandwich isn’t exactly hard, but it does require you to make some good pulled pork – normally an oven situation. For this version, though, I like to cook the pork in my slow cooker overnight. 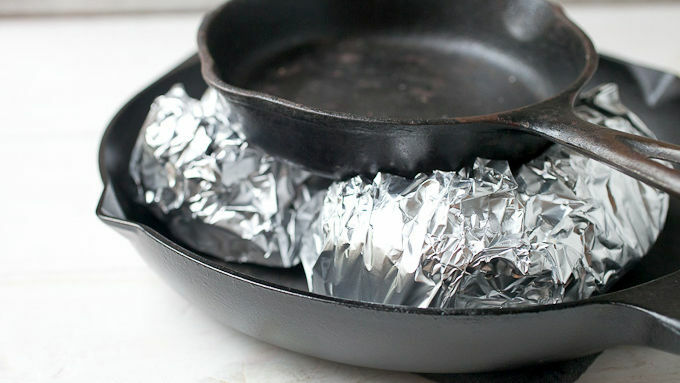 This solves the oven problem and also means you have lots of delicious sandwiches the next day. You can use a lot of pork or just enough to fill out the sandwich. Make it your own! 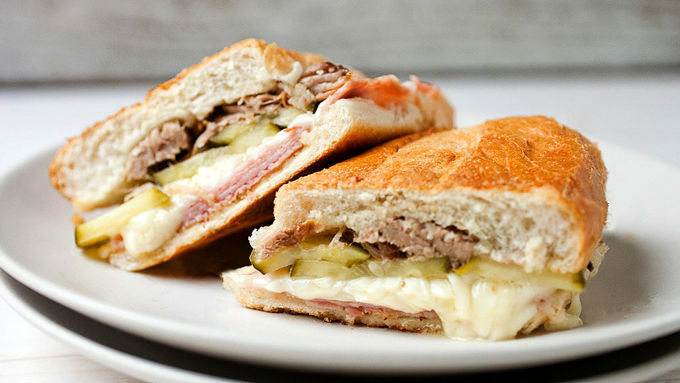 Traditionally Cuban sandwiches are cooked under a brick. To simulate this effect I like to wrap my sandwich in foil and cook it in a skillet or on the grill for a few minutes with a cast iron skillet on top to press all the layers together. That’ll do the trick! The finished sandwich is filling and savory on the inside, and crispy and toasty on the outside. If you’re having a party, these would be the perfect summer sandwich addition!